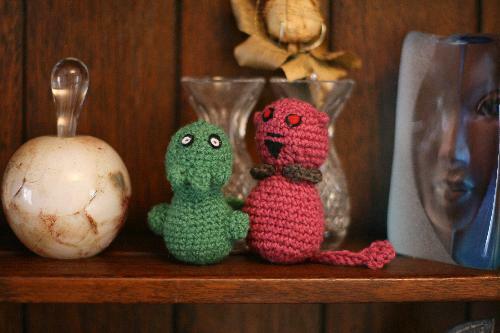 And here’s the Great Cthulhu and a little demon. Update: It seems this particular Cthulhu is called Emlyn. And the demon is Alf. Update update: I sit corrected once again. The little Cthulhoid chap is Alf, the demon is Emlyn. She’s quite right, there’s something Emlynesque about him. Other way round silly! The demon is so obviously an Emlyn.